Home > News > COSME Info Day on the 11th of June 2018 - Registration Now Open! COSME Info Day on the 11th of June 2018 - Registration Now Open! COSME Information Day focuses on participation in COSME Calls for Proposal, offering tips and tricks on preparing a strong application, IT tools and support available throughout the project implementation. Participants will benefit from shared perspectives of COSME beneficiaries, external experts and EU representatives. 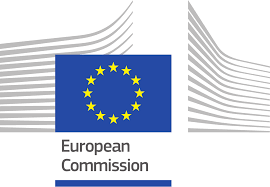 This one-day event provides an overview of the COSME programme - the EU programme for the competitiveness of small and medium-sized enterprises (SMEs) and in particular related Calls for Proposals. Participation at the COSME Info Day is free of charge. The event will be also accessible through web streaming. Please see attached the draft agenda. Registration form is available here.